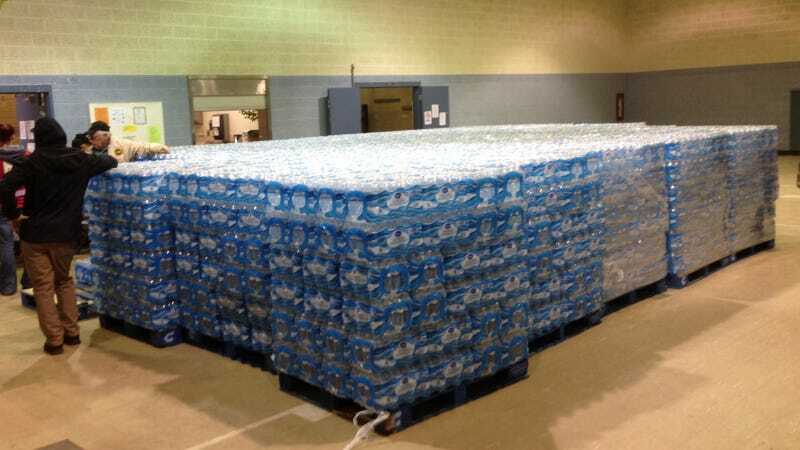 Residents of Sebring, Ohio, are concerned that they, too, will see a lead water crisis similar to the one in Flint, Michigan, where residents have been drinking poisonous water for months. The fears were prompted last week, when Sebring village manager Richard Girouxby announced that children and pregnant women should not drink Sebring's water. On Monday, the Ohio Environmental Protection Agency dismissed Village Water Superintendent Jim Bates from his post and opened a criminal investigation into his actions. The EPA is saying that Bates did not inform the public that he found seven out of 20 Sebring homes to have high lead levels in their water supply within the 60-day period required by the agency, The Associated Press reports. The EPA further accused Bates of issuing "misleading, inaccurate or false reports," on the water. Roughly 8,100 people rely on Sebring's water supply. Bate denies the accusation. On Monday night, Serbing residents crowded into a packed council meeting to discuss the situation. One woman in attendance claimed her 2-year-old son had elevated levels of lead in his blood. Pinkerton said those lead levels could have come from any source, which was followed by groans and outbursts from the audience. Another man at the meeting shared fears over how the elevated lead levels would affect children. “A lot of us have kids at home, and we’re extremely afraid," he said, adding, "We need a mayor to stand up, be honest with us, hold people accountable and fix this problem." Lead poisoning can negatively impact a child's physical and mental development. The village is still required to complete all immediate, short-term, and long-term actions required by the Ohio EPA Director on Jan. 21 and federal and state law to adjust water chemistry, provide the public with information and conduct additional testing to confirm if these changes remain in effect. State environmental officials knew as early as October that residents of Sebring in Mahoning County were drinking water contaminated with lead but did not warn the public, records show. Instead, the Ohio Environmental Protection Agency sent multiple warnings to the Sebring Water Treatment Plant, demanding that operators there notify the public that tests showed elevated lead levels. The EPA even set a deadline of Nov. 29 to notify customers of the health threat. No warnings were issued, according to the EPA. Others are trying to pin the blame on the EPA. "We are trying to investigate why the EPA had this information, the same information, quite frankly, that the village had, but there was no public notification," State Representative John Boccieri said during Monday's meeting. Regardless of whether the EPA or state officials win this battle, Sebring residents lose.